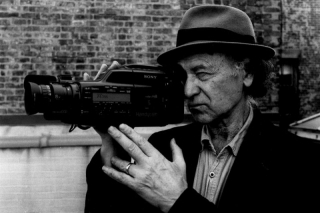 The Lithuanian poet and filmmaker Jonas Mekas bought his first Bolex 16mm camera within weeks of arriving in the USA as a displaced person in 1949, and from that point onwards he carried it everywhere. Rather than pursuing conventional forms of cinema, he turned the camera towards his own life, recording brief bursts of images that condense his experiences in a unique diaristic style. The first part of our season, in December 2012, featured Mekas’ earliest films and documented his first two decades in New York. During this time he was at the centre of the New American Cinema, fostering the exhibition, distribution and critical debate of a radical new film movement. In part two we follow the diaries from the early 1970s to the present day, and further programmes explore the collection of Anthology Film Archives, the film museum that Mekas established to showcase and preserve visionary cinema. As Mekas became less intensely involved with organising the community of filmmakers, a romantic sensibility came to the fore in his work. Nature and family life become principle themes as he raises young children, and on journeys through the city or on trips abroad, he is often drawn to more bucolic subjects. He began the shift from film to video in the 1980s, but it wasn’t until Letter from Greenpoint that he felt truly in control of the new medium. Shooting on digital enabled a more capacious style of filming, and led to an extraordinary period of productivity. For the 365 Day Project he transmitted dispatches from his new life in Brooklyn, uploading a new short film to his website every day throughout 2007, and in 2011 he completed no less than five feature-length works including the acclaimed Sleepless Nights Stories.